Holy smokes!! 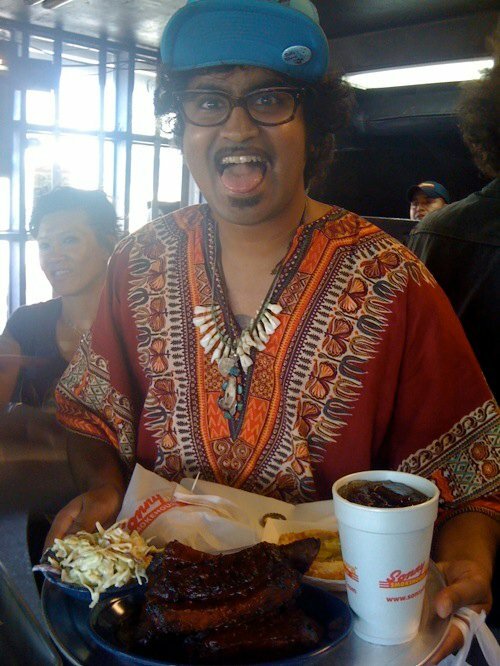 Announcing the return of KING KHAN & The SHRINES to SONS OF HERMANN HALL!! this time with Miami, FLAs JACUZZI BOYS!! This show will not disappoint. People still tell me how great the King Khan & The Shrines show was at Sons of Hermann Hall back in April 2010 with The Fresh & Onlys and Bad Sports. Were you there? All Ages, $tba/on sale Friday via frontgate tickets. Although, technically, NOT King Khan & The Shrines, you can currently download (for FREE) the new King Khan Experience from Scion/Vice. This entry was posted on December 6, 2011 at 12:00 pm, filed under News.